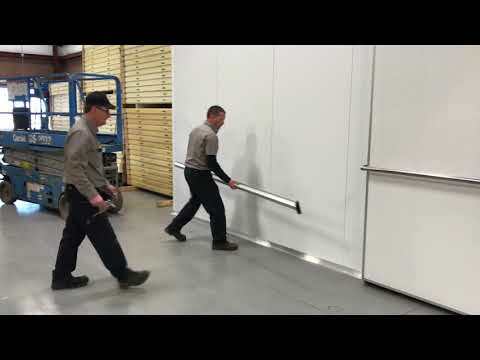 Pallet size cooler / freezer manual sliding door. White finish, 4" thick urethane insulation. Includes track, mounting hardware, heat wire and side jambs. Available in both right and left hand opening options. This sliding cooler/freezer door is in stock, ready to ship today! Pallet Size Cooler / Freezer Door.